Soap Boxes and Subscription Boxes | A mommy blog, subscription box review blog, entertaining blog, weight-loss blog, and babble blog. With a side of wine. The Nina Garcia Quarterly Co. box arrived early last week, but as things are just getting back to normal around here, I am finally reviewing today! SPENGLISH Ball Cap: $20? Nina Garcia said she had this item made especially for the box as a celebration of the World Cup in Brazil. Ok, So, I guess I am just not that into this Spenglish brand. 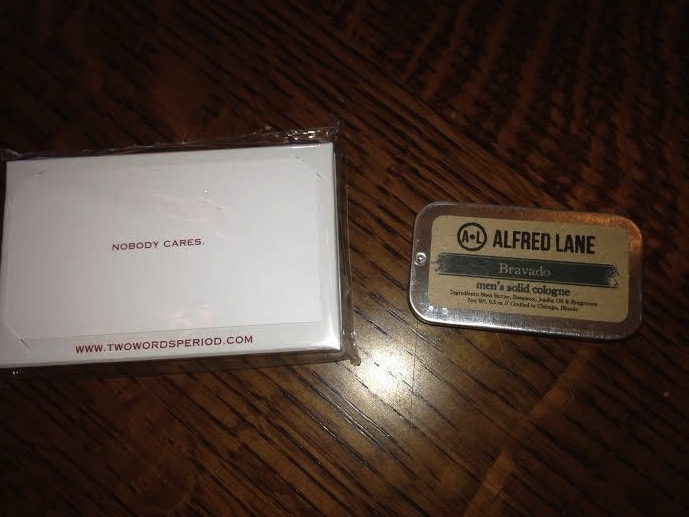 She included a Spenglish t-shirt in her last box, and I was pretty “meh” over it, so to get another item from the same brand was really disappointing. 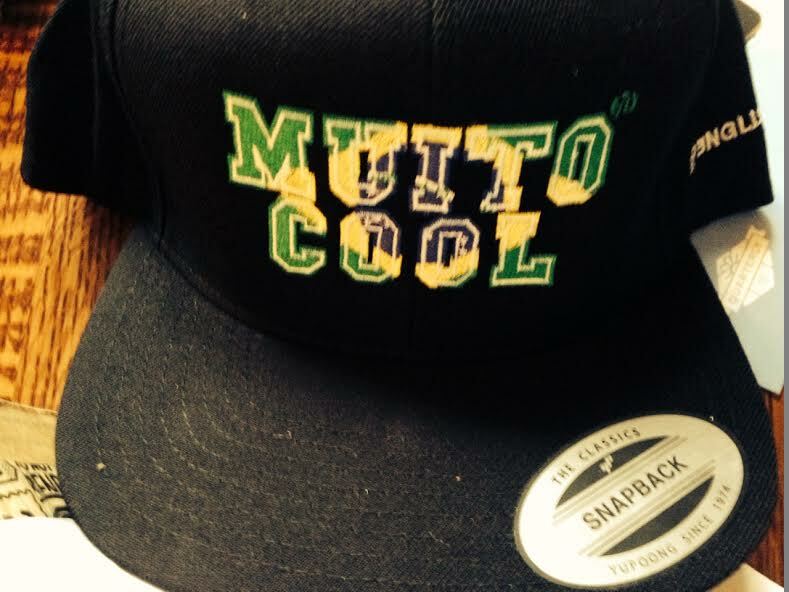 This hat is not my style at all, but I am sure I can find someone who might like it. Into the gift pile it goes. Koku Pouch: $110 Here we go again with the canvas pouches. This particular box contained TWO of them. Come on. 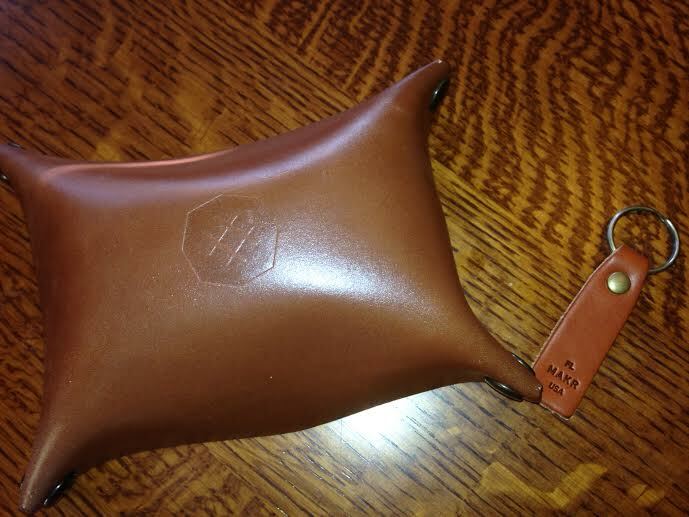 This particular pouch is from the Greek company Koku, that makes a lot of high-end pouch accessories. It is handmade in Greece, and there is raffia around the edges and then a plexiglass fish decoration on the side. Am I the only one who thinks this looks like a kid’s craft project? I consider myself semi-fashionable, and I just can’t see the draw of this one. Especially for $110! I don’t think I could use this as a clutch. 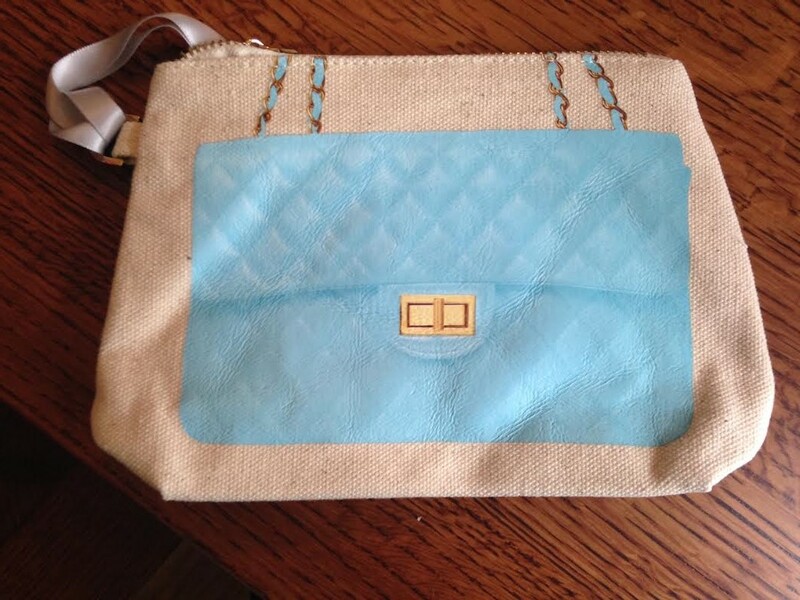 I will try to think of my trendiest friend and maybe she will want this. 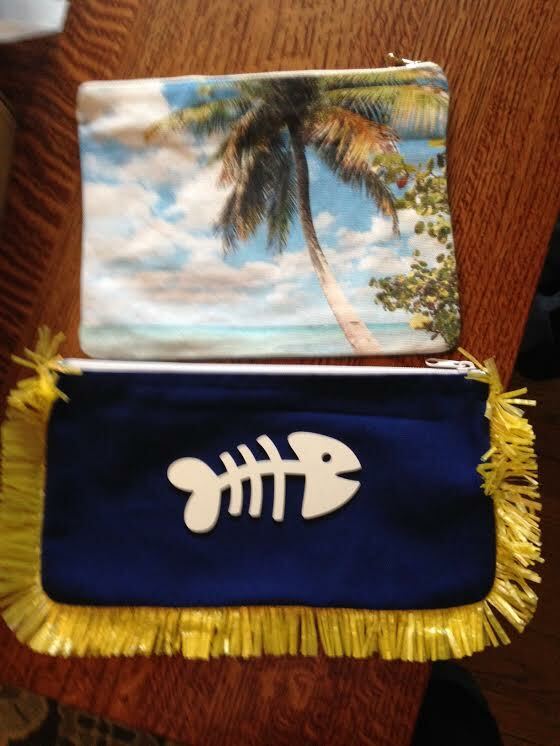 Print All Over Me Palm Tree Clutch/Makeup Bag: $10? Seriously! I am the new queen of canvas makeup bags. This one is super cute, but I just have too many already. I could not find the exact design online, but the Print All Over me site has a lot of cool options. Passing it on to my bestie’s daughter filled with some fun 10-year old appropriate makeup items. 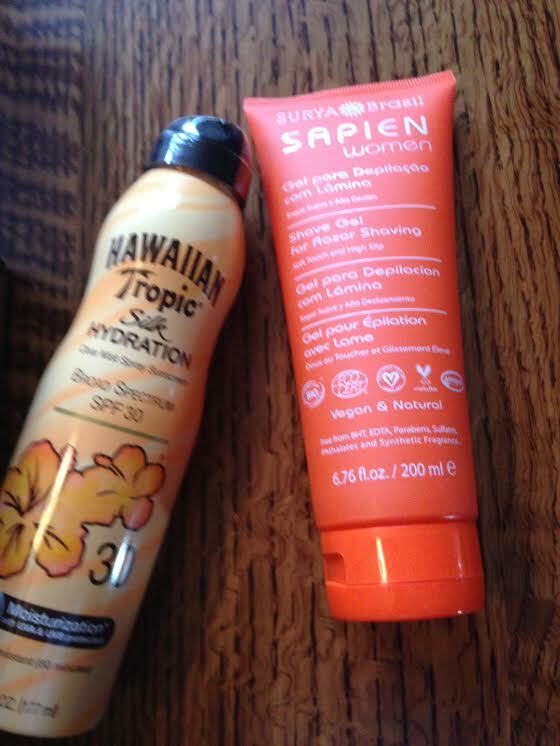 Hawaiian Tropic Silk Hydration SPF 30: $10.50 This is one of those items that will always get used around our house, and I like that it is a 30 that does not feel or smell like sunblock. I have a major aversion to sunscreen, but I know I have to wear it, so whenever I find one that does not have that weird metallic, medicinal smell that most of them have, it makes me happy. As far as this being a Nina Garcia type of item, it really isn’t. Organic Shave Gel from Surya Brasil: $20 Now, this stuff I like. 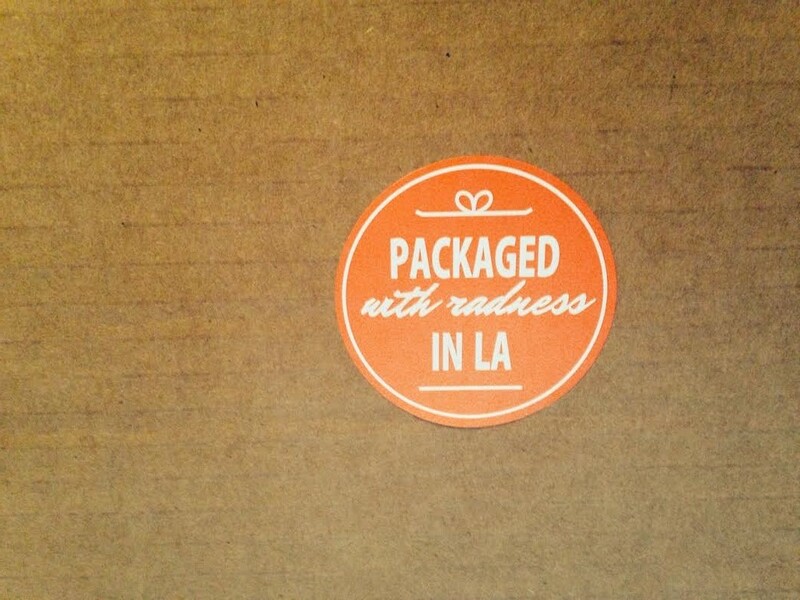 This type of luxury, organic, new-discovery type of item is what I expect from this box. This stuff smells great and is already in my shower. It makes a great shave gel with nice results, and I love that it is organic. 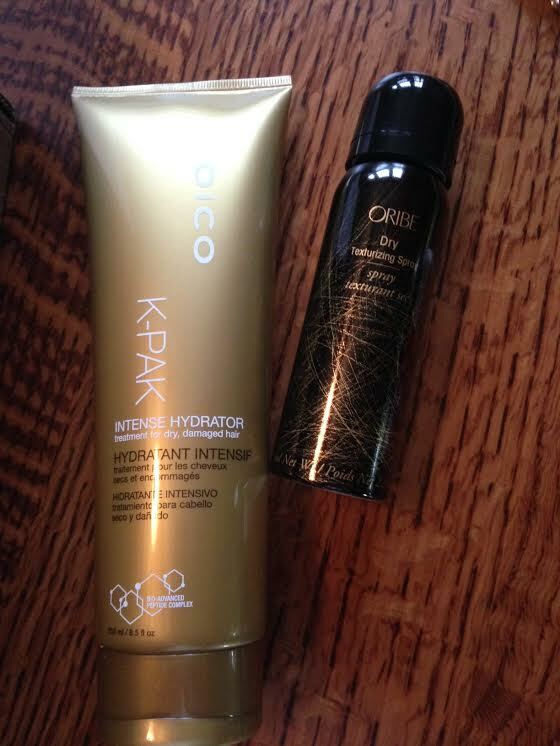 Joico K-PAK Intense Hydrator Hair Treatment: $20 This one is another nice item, but do not think I will use it. As mentioned in another post, my hair is kind of a limp mess about half the time, and I find that a lot of hydrating treatments like this just make it worse. It claims to make hair healthier, shinier, calmer and moisturized. I think I have a couple friends who would pine for this one. Oribe Dry Texturizing Spray Purse size: $21.50 This is a score for sure. I am a die-hard Oribe girl, and whenever I can get their items in a box, it makes me happy. The products are pricey, but this spray adds a ton of volume and makes your hair smell amazing all day. I use it daily, but it can also be used like a dry shampoo for second-day hair. This size will be perfect for my gym bag. Calvin Klein ck one Lipstick in Little Liar: $9 I always want to try red lipstick. Except for then I remember how I hate lipstick and how I look terrible in red. I guess my Gwen Stefani aspirations are just sad. This will make a nice addition to a gift for a girlfriend who is braver than I. Formula X Nail Laquer in Push the Limits: $10.50 This brand is exclusive to Sephora. I just got a similar color in my Julep box (review coming this week!) so, I may try this one to try out a new brand and pass on the Julep one. 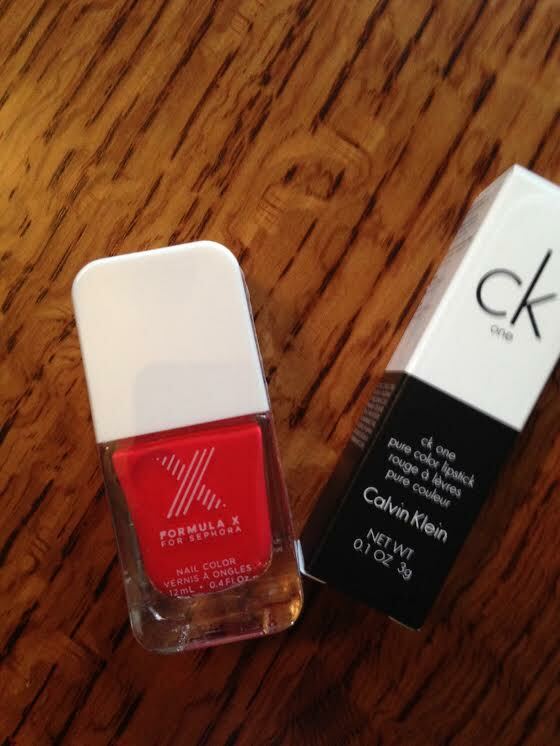 It’s a really pretty summer red that will look great on my toes. Red Flower Refreshing Hand and Face Towelette in Italian Blood Orange: $0.85 Stuff like this is great to toss in my gym bag. I would have loved a whole box of these, which are $5 for a 7-pack. It smells really nice and was quite refreshing. 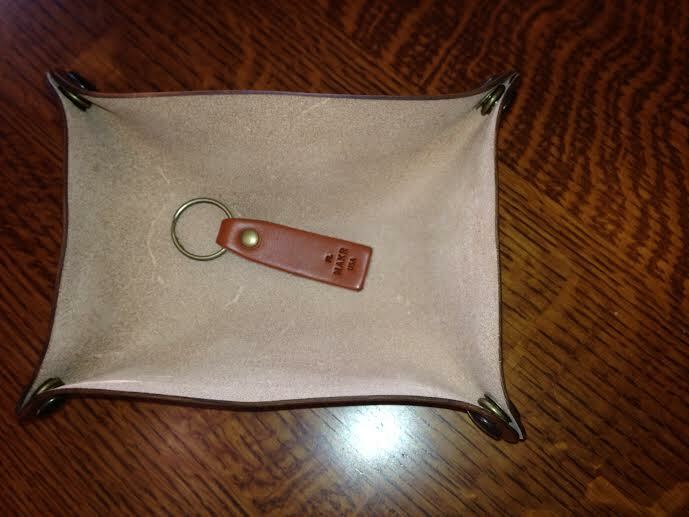 Melissa Shoes Desk Ornament: $5? This is cute enough, I guess. I’d rather have something that I can use, but this will look cute at my desk. It smells like those flavored erasers I used to get in elementary school. They never erased anything, but they smelled like rubber and fruit flavoring. 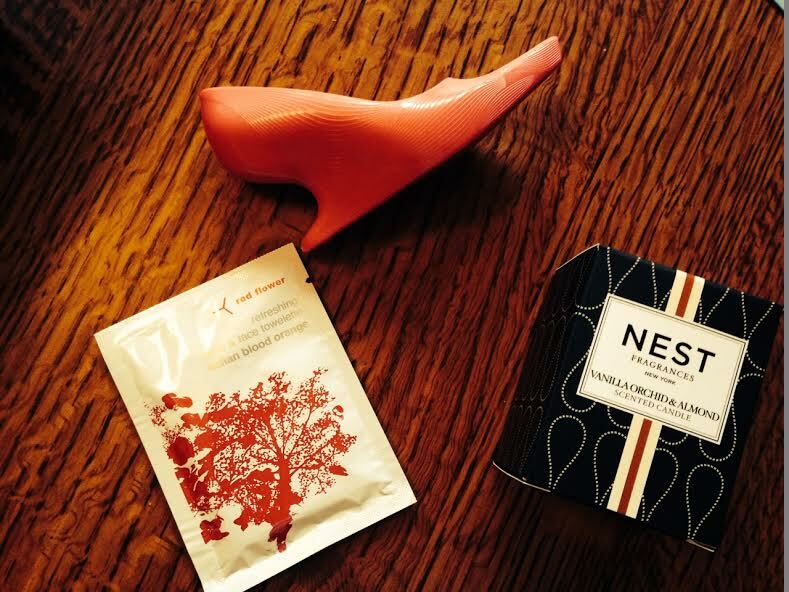 NEST Fragrances Candle in Almond Vanilla Orchid: $15 This smells lovely, and NEST is my favorite brand of candles. They throw a great scent and burn really clean. I love getting NEST candles in boxes! I actually think this will be a great fall scent, so I am saving it for this year’s Favorite Things Party in October. OtterBox Symmetry Phone Case Gift Card: $44.95 This was awesome. No credit card required. 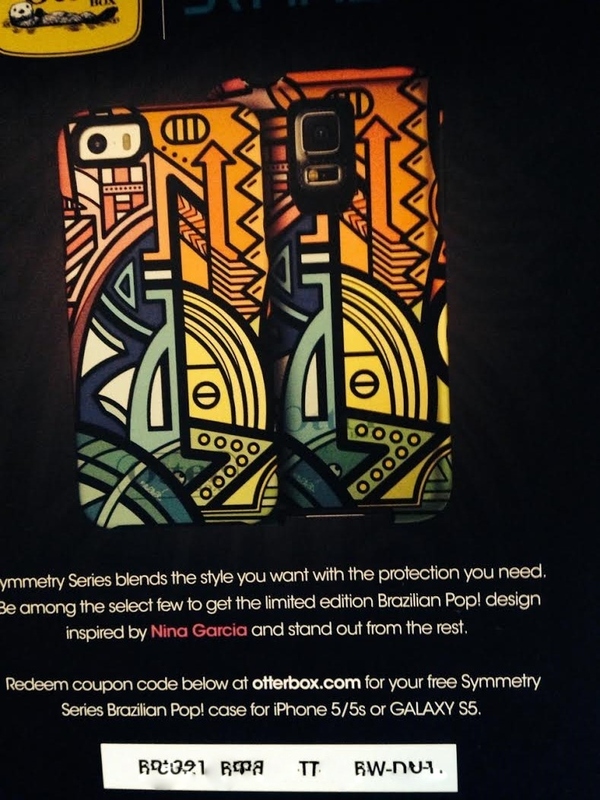 Just use the code and pcik your design from the OtterBox Symmetry line, and your case is on its way. I thought at first that you had to select the Brazilian design featured, which was not really my thing. 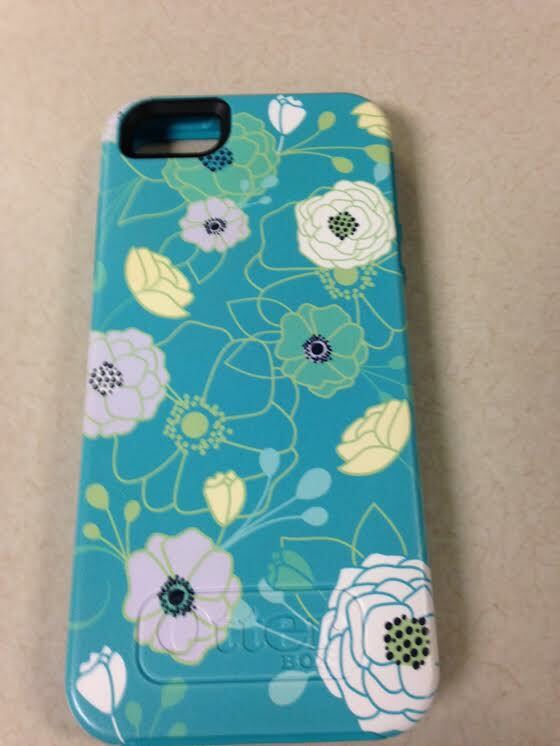 Instead, I got this cute one with blue flowers, and it is super sturdy. Plus, since OtterBox is located here in Colorado, I got it the next day. Score! 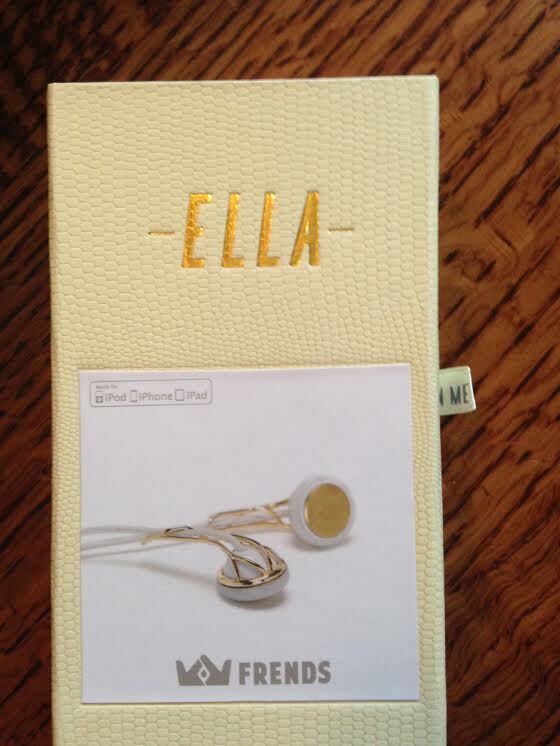 FRENDS In-ear Headphones: $99 These are very fancy with their gold décor, and they do almost look like jewelry. I am not sure how well they would hold up to a workout, which is really when I get in most of my headphone time. I would hate to destroy a hundred-dollar pair of earbuds by sweating them to death, as I have actually done to others. We shall see. 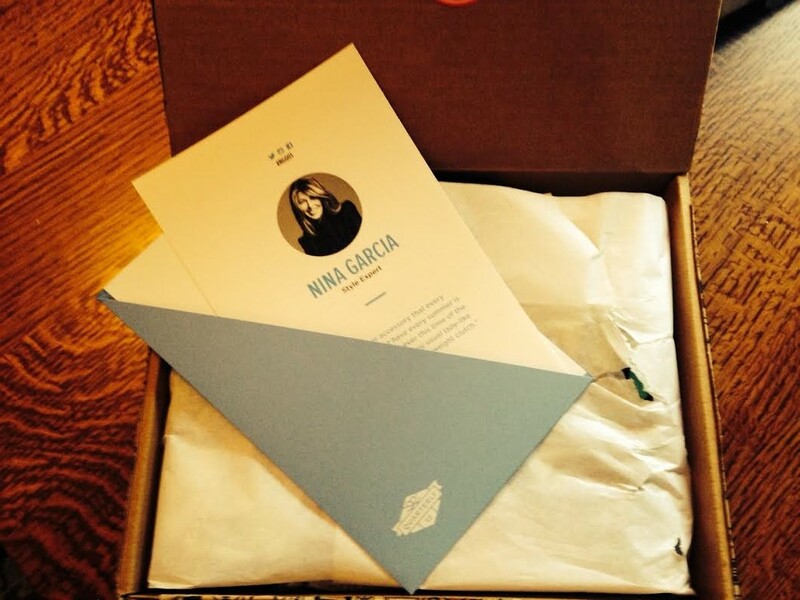 All told, the Nina Garcia Quarterly Co. Summer box had a great value. For the price of $100, there was over $400 of merchandise. 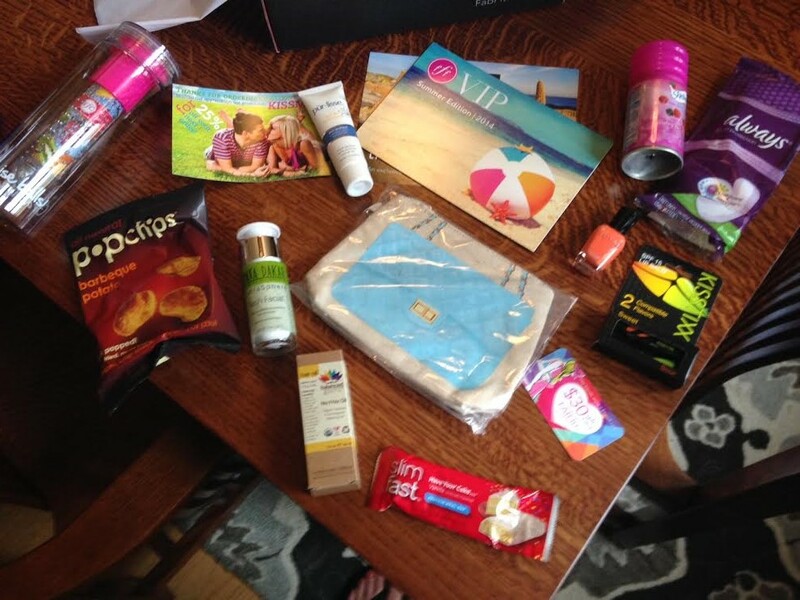 I have to say, and I had this feeling about the Fab Fit Fun VIP box for summer, too, it just didn’t feel as fancy and “curated” as the last couple boxes. 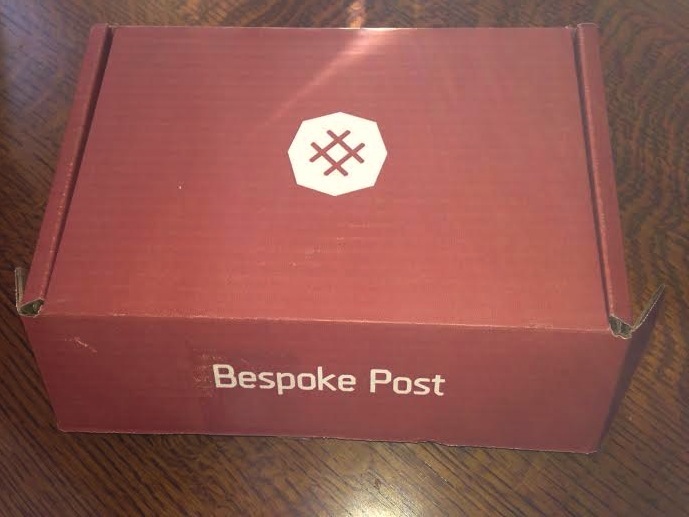 However, I am excited about a couple new brands to try, am in love with my sturdy new phone case, and I am all about boxes with such a great value. This time, my gift pile got a little bigger, too. So, my friends got lucky! Upon first look, there were a lot of items in there! Sonya Dakar Flash Facial $95: So, while I was initially a little bummed that the crown jewel of the summer FFF box was a skincare product, that was before I gave it a try. It made an immediate change in my skin, and it works like nothing else I have ever used. You apply a thin coat to your clean, dry face and then let it sit for a minute, and then you rub it off in a circular motion and then rinse. Let me tell you, the first time I used it, some nasty stuff came off of my skin. It basically just melts the dead skin away, and I felt like I noticed a difference immediately. It says to use everyday, but at a $95 price tag, I think I will maybe do it once a week or so. Don’t want to get too spoiled. 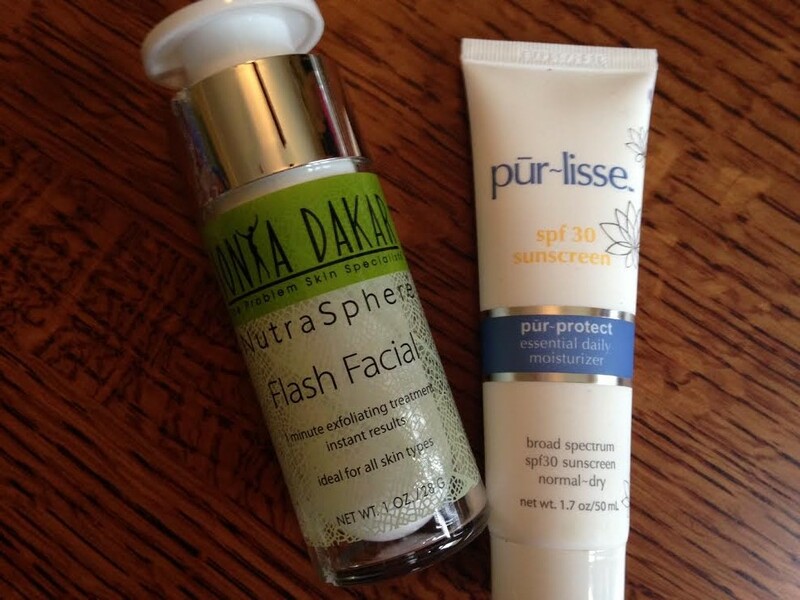 Pur-lissle pur-protect SPF 30 Daily Moisturizer: $55 I wear an SPF moisturizer on my face everyday, so this is a score. I like their products, and as soon as I run out of my current moisturizer, I will switch to this one. I did try a little squirt, and the texture is nice, especially for it being a 30 SPF, and it has a clean, low-key smell. 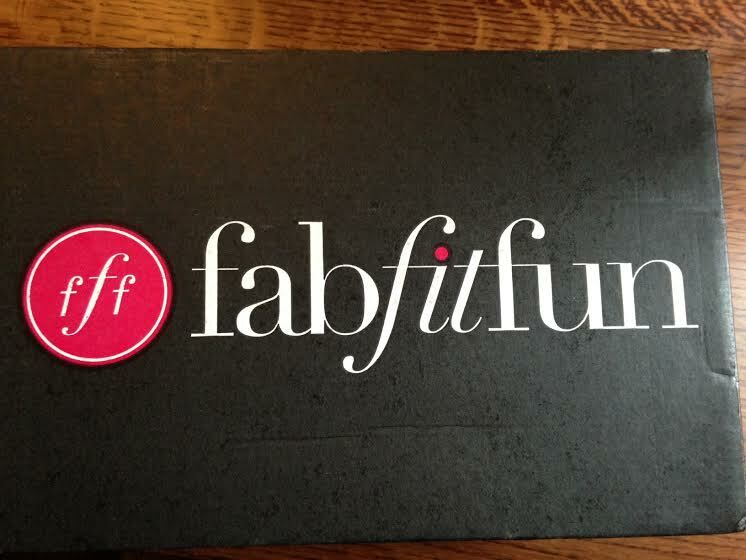 Fab Fit Fun Water Infuser bottle: $15 So, I am really loving my Citrus Zinger bottle from last month’s PopSugar box, and I really don’t need two. I will probably gift this one. I like the way the chamber for fruit and stuff is down the middle, but I thought the opening was a little weird. 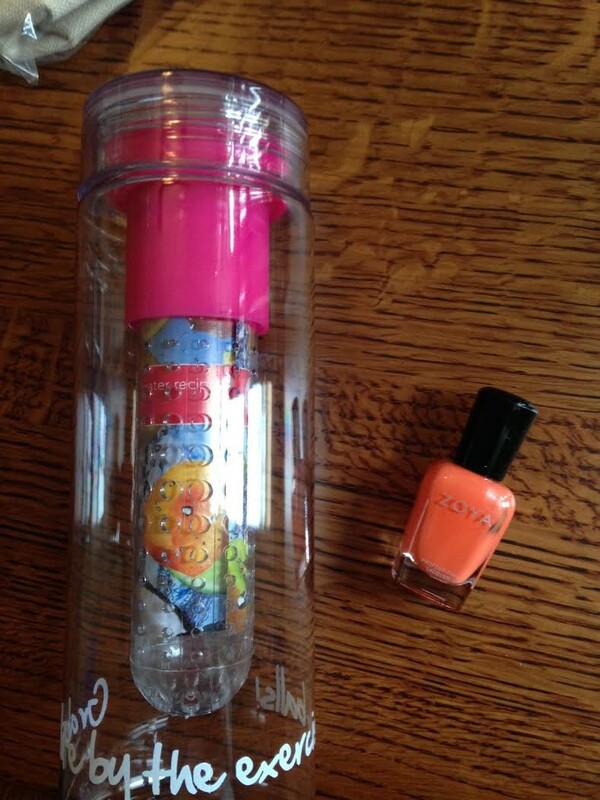 The saying on the side says: “Grab life by the exercise balls.” Ummm, ok.
Zoya Nail Polish in “Cole”: $9 This is a great color, kind of like a Creamsicle, and I love Zoya polish for their Vegan (and pregnancy friendly….not that I am, but that is handy) ingredients. I would totally wear this, except for that the applicator brush is completely jacked up. even in the picture, you can see the brush against the side of the bottle inside. It is un-useable. I am bummed! I will email FFF and see if they will replace, although that seems like a lot of work when I have about a million bottles of nail polish. I have heard their service is great though. Thursday Friday Mini Clutch/Makeup Bag: $35 Ok, so it seems like every single box over the past few months has had a canvas makeup bag. I am on overload and will gift this one. It is cute, although the pattern I got is totally not me. $35 seems like a lot to me to spend on a canvas bag that would not even come close to holding all my makeup for a trip. And I am not even that much of a makeup queen, but still, this thing is tiny. I think my BFF might like it though. 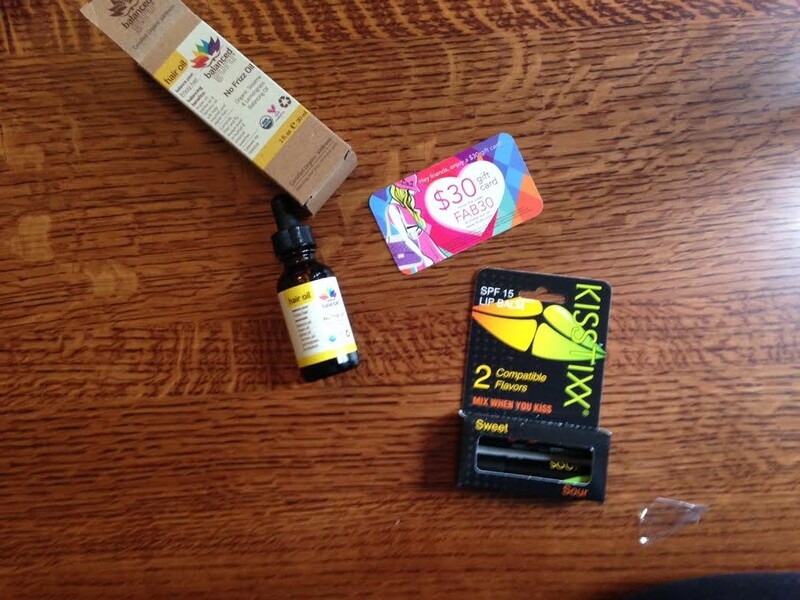 The box also included a $30 coupon card for the Thursday Friday site, which ended up getting pictured below. KISSTIXX Lip Balm in Sweet and Sour: $6 Apparently you are supposed to give one of these to your makeout partner and then keep one for yourself, creating come sort of taste sensation when you kiss. Well, while that sounds lovely in theory, as the working parents of a two-year old, if we ever get time to make out, the forethought it takes to simultaneously apply lip balm prior to would probably send us over the edge. However, lip balm is always a score for me, and these feel nice. I’m keeping them both for myself. Balanced Guru No Frizz Oil: $25 This one is a dud for me. 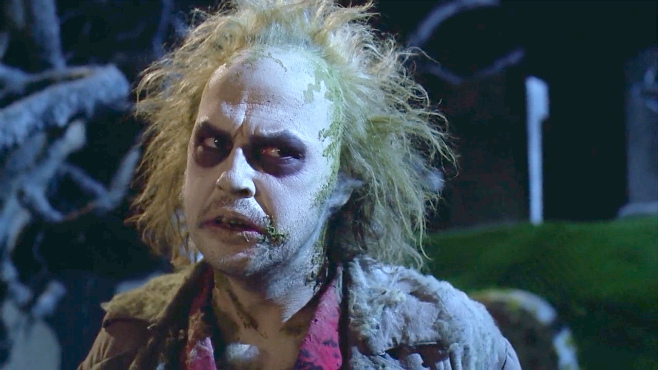 I just refuse to put any kind of oil treatment in my hair because it is already so fine and oily that anything like this makes it look like I poured mayonnaise on my head. I will pass this on to a friend who like hair oils. It gets great reviews from other, non-greaseball, reviewers, though! 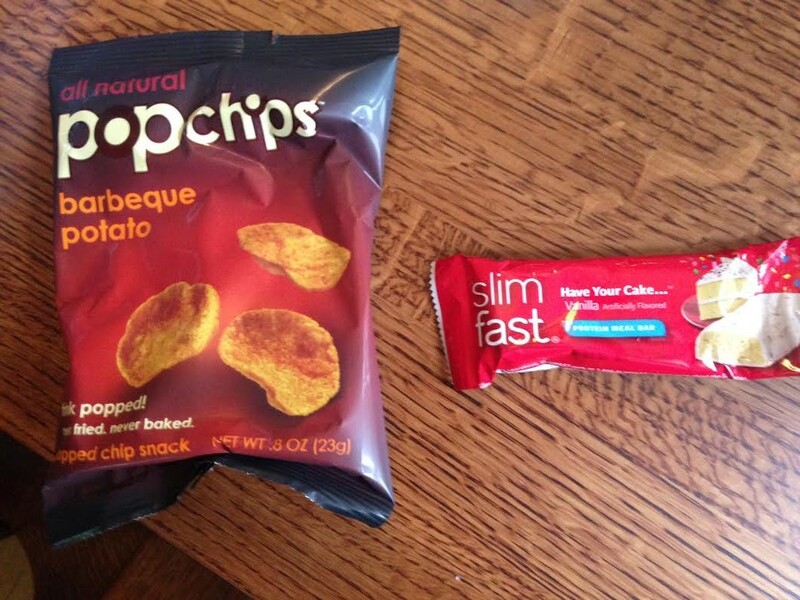 PopChips in BBQ: These were eaten almost immediately. Everyone in the house loves these. Skintimate Shave Gel sample: Nice for my swim bag or travel. Slimfast Have Your Cake bar: Also not really my thing, just because of how many chemicals and junk SlimFast puts in their stuff. Someone will eat it at some point, I’m sure. 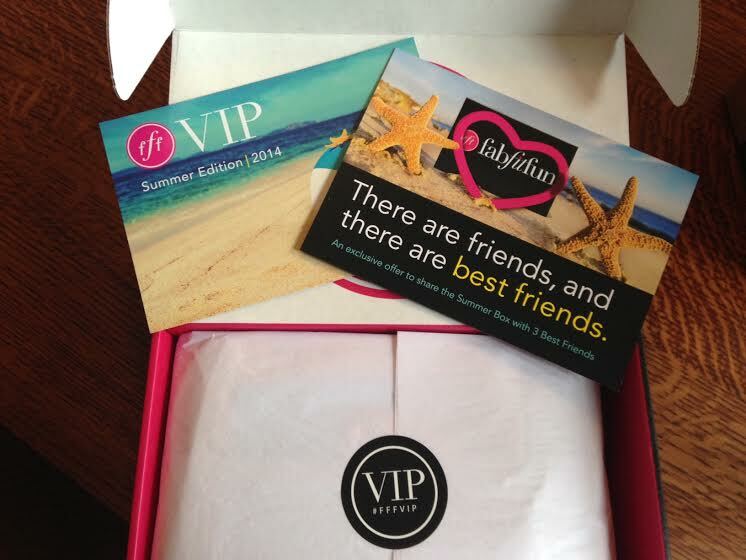 All told, the Summer 2014 Fab Fit Fun VIP box had a value of around $250. It was not my favorite box from them, to be sure, but the facial is a great discovery. The value is there, but for some reason, this box just felt really thrown together to me and not “curated” like the Winter and Spring boxes I got the last couple times. 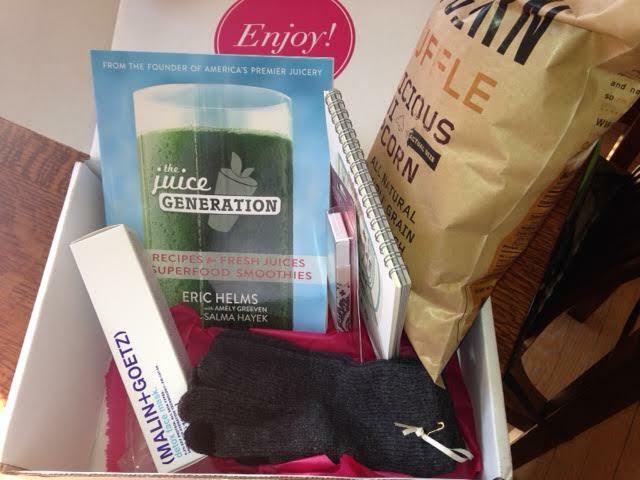 I will look forward to an improvement for their Fall box this year. That is my favorite time of year anyway. Julep is delayed this month, and so there are no boxes for the first few days of July. So now, you’re stuck with an anecdote from me. This one is about my hair. After wearing my hair in a cute, short, pixie style for quite a while, I grew it out when I was pregnant a couple years ago because I thought that being able to put it in a ponytail as a new mom would be helpful. And it was. And has been. The added bonus is that my husband always comments on how much he likes my hair, as apparently most heterosexual men seem to have a thing for long hair over a short-and-tight. Lately, though, I am getting the itch to go back to my easy-breezy pixie again. Most of what is stopping me is that, one, I still have about 20 pounds of baby weight (um, how long do you get to call it baby weight and not just “weight”?) on me, which makes me feel that I cannot as easily pull off the short cut like I used to be able to. And two, the aforementioned husband and his aforementioned praise of the aforementioned long hair. In thinking about this decision, I have come up with a list of things that did not happen to me when I had short hair, but that regularly happen to me now. Accidentally roll my hair up in my car window and then unwittingly yank a bunch of it out as I tried to open the door. Choke on my hair. On what is sadly becoming a fairly regular basis. What IS that?! Have hair ALL over my bathroom and clothing and pillow and, well, everything. I now shed worse than our elderly Australian Shepherd mix. Have the ability to swing my hair across my son’s face in a tickl-y way, which has made him squeal with laughter since he was tiny. Spend a vast portion of my day as a slave to my blow-dryer, and then just give up and wear a ponytail, like, 75% of the time. 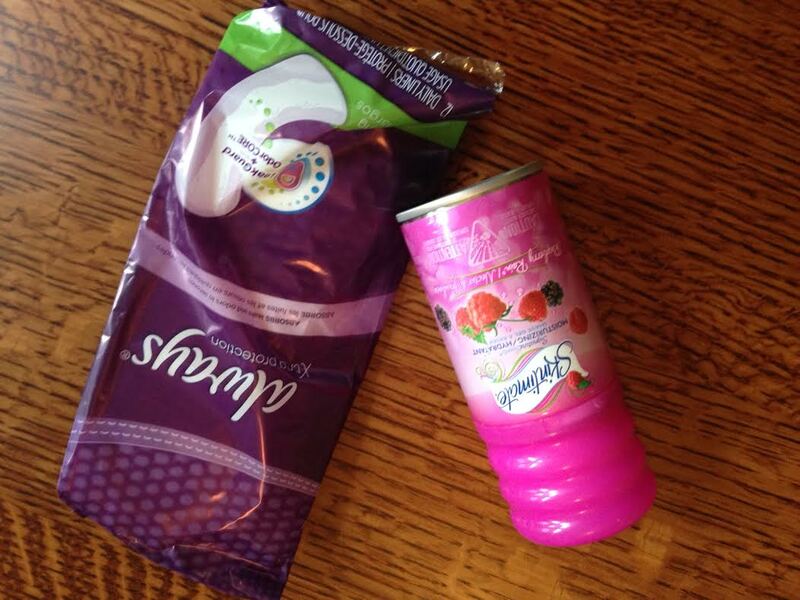 Because of how it makes being a mom easier. Even at the office. Feel like my double chin is always on display. So, that is my pro-con list. What should I do? 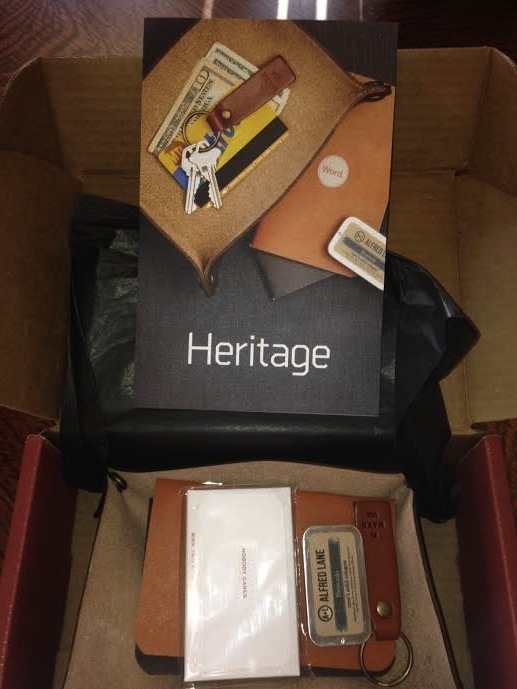 Soap Boxes and Subscription Boxes is back! Starting with July boxes, I am returning from my hiatus, armed with a new job, a new college degree, and a new lot on life. Expect box reviews, stories, and humor, all starting this week! Thank you for your patience while I got my life all back in order. See you soon! We are on short hiatus around here. I’m starting a big new contract, and my husband started a new job that requires a lot of travel, therefore, every extra second is spent chasing the boy. 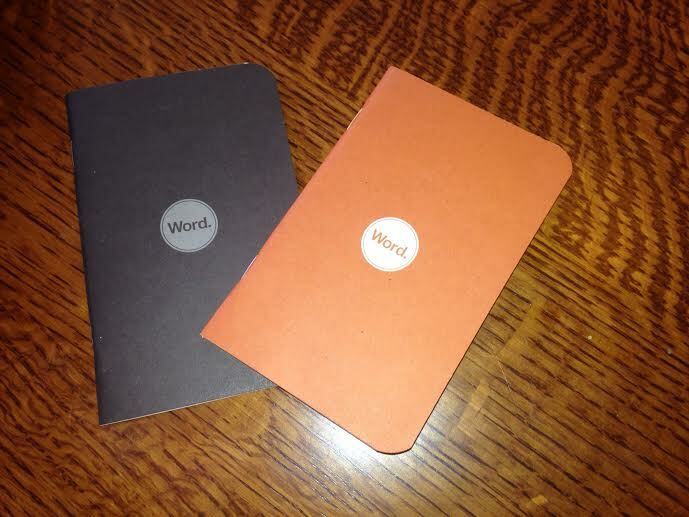 More reviews and writing to follow shortly. 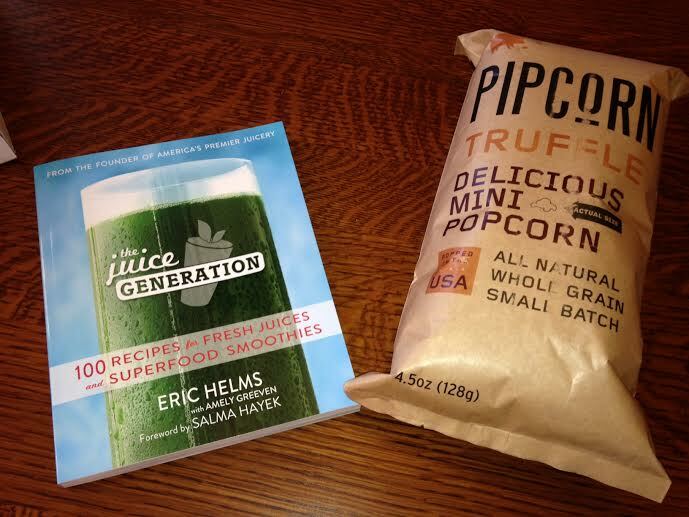 The Juice Generation book by Eric Helms: ($16) Ok, so I don’t really juice, although I probably should. It does have smoothie recipes, too, which is more up my alley, and I have to admit, it did pique my interest about getting a juicer. I don’t love to get books in the boxes that are for me or my husband, (kid books are awesome) mostly because we both use e-readers and had to get rid of our roomful of books to turn it into a roomful of baby a couple years ago. Still, I am flipping through this, noting some great recipes, and then may pass it on to a friend. 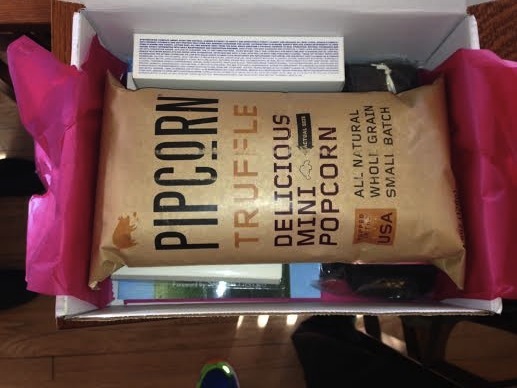 Pipsnacks Pipcorn mini popcorn in White Truffle: ($6) Popcorn is my absolute favorite food. I would eat it twice a day, everyday if at all possible. This stuff is really good, and I liked the smaller kernels and the small company vibe. I will buy this when I see it in the store for sure. Delicious. Revlon by Marchesa nail files: ($3.49) Cool. Nail files will always get used around here. Sometimes it is to hack away at my sad runner’s toenails rather than to demurely file away at my mani while gossiping on the phone, but still, they have a home here. 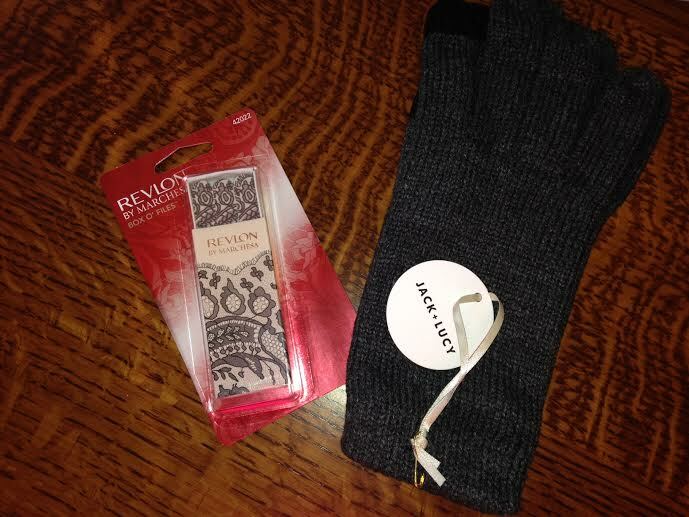 Jack and Lucy tech gloves: ($18?) I cannot find these online, so I am guessing at the price. These are super soft and cute, but I almost never wear gloves. 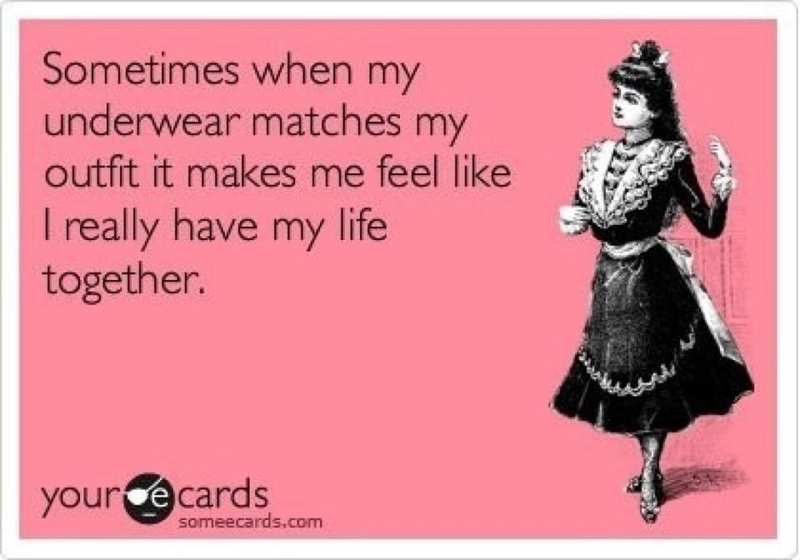 And when I do, it is because it is the rare day where it dips well below zero, in which case I throw on my ski mittens. These will make a great gift for a friend who is much smarter than I about how to dress for the weather. Malin + Goetz Detox Face Mask: ($40) We have been getting a lot of Malin + Goetz stuff in boxes lately, and I cannot complain. This brand is great, and I am looking forward to doing a good mask to get some of the skin toxins out. My BFF and I have a shopping/dinner/hotel night this weekend, so maybe I’ll bring this along and we can detox and drink wine in hour hotel suite. Rifle Paper Company Cities Desk Calendar: ($16) Love. I have fallen hard for Rifle Paper Co, and this calendar does not disappoint. 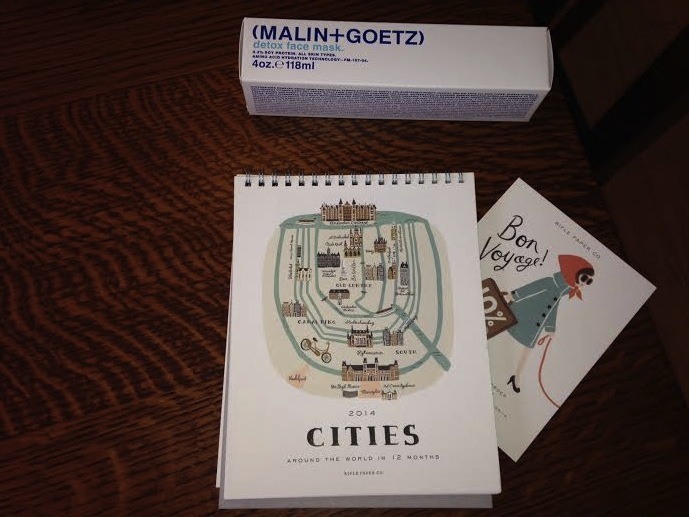 I love to travel and love these little artsy renderings of each city. If all goes well next week, I might even have an office to put it in soon! All told, this PopSugar Must Have box had a value of around $100, a great deal for the $39 price tag. PopSugar Must Have continues to be in my top three consistently each month, even if this particular one did not knock my socks off. The value is always good, and I like getting things from a lot of different categories in one box.